So the other day, I am minding my business tweeting away and I randomly receive a direct message. Now, I will be honest, I usually do not pay direct messages any mind because it is usually just someone trying to say follow them or a thirsty individual who I plan to show no interest in. This particular day though, I had a different kind of message. A very nice young woman named Michelle, who authors the blog High Heels And Homework . Michelle, started the message off by simply introducing herself, stating that she authored her own blog, and she loved to meet new people. I thought her introduction was very genuine and simple. She was not asking me to follow her, buy something, or spamming me. She simply took solice in meeting new people. What started out as a simple introduction turned into a conversation about kids, work, and school. I learned that like myself, she was a member of Mom Bloggers Club and that we were both in similar fields. After that brief twitter conversation took place I received an e-mail to my personal account from Michelle with an offer I could not refuse. 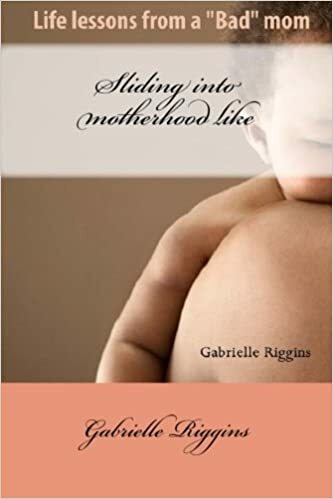 Michelle had graced upon my discussion post on Mom Bloggers Club where I stated that I was looking for someone to review my book Sliding into Motherhood: Life lessons from a bad mom. At the time I had not had any offers so she became my first. Not only did Michelle offer to review my book, she finished it in one day and had the review written by late evening. What started out as a small form of being kind and genuine, the act of just wanting to meet fellow bloggers turned into a review for my book. It goes to show that the small act of kindness can go further than just that initial interaction. Here was a message that normally I would have never responded to let alone open it and this perfect stranger showed genuine kindness to me and assisted in this journey I am taking on as a new author. Thank you Michelle. Your are proof that there are still genuinely nice people in this world. Please check out her blog in the above listed link. Previous Post Is infidelity becoming the new normal? Thank God for people who are not ashamed to be kind. We definitely need to recognize the power of kindness in this time of rampant hatred.